Craft Functional Sportswear has been signed as the official ON-BIKE Partner of the FNB Wines2Whales Mountain Bike Adventure, Ride and Race events. “We are delighted to welcome Craft as the official ON-BIKE Partner of the FNB W2W MTB Events,” says Michael Meyer, Director FNB W2W MTB Events. 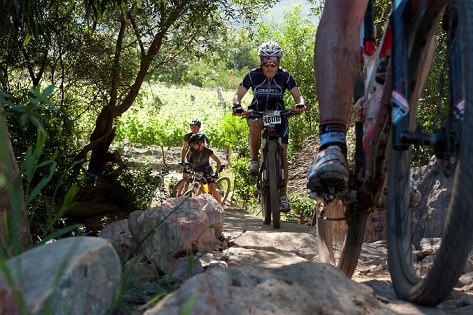 “Craft’s motto, ‘enjoy the hard work’, fits in well with multi-stage MTB races,” says Raoul de Jongh, General Manager Craft South Africa. “For Craft, this means being a part of the journey of all 4000+ riders who tackle this amazing series of events. We will offer a back-up service to all riders who have forgotten things like arm warmers, jackets and socks.